Depending on how much rain falls on Saturday, water levels in the main impoundment should be low all weekend as maintenance work continues on the pilings. The Least Bittern was seen on Friday along the Marsh Discovery Trail. 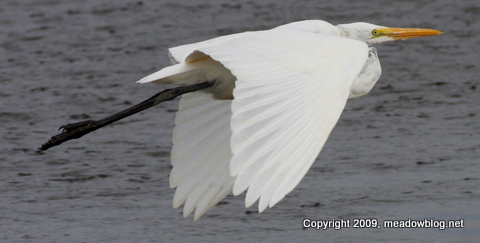 Friday morning we saw a Peregrine Falcon strafing gulls in the main impoundment, and Friday afternoon we saw a female Northern Harrier wheeling by the Trail. On Friday we also saw umpteen Yellowlegs, a couple of Pectoral Sandpipers, Ruddies, Shovelers, and dozens of egrets and Great Blue Herons. We have not seen a Sora or plover since Wednesday. A quick reminder that DeKorte Park is hosting several excellent events this weekend. On Saturday at 1 p.m. is a butterfly event for the entire family. 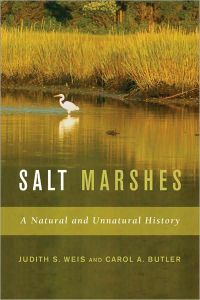 On Sunday, and a free nature walk from 10 to 11:40 a.m. and a free nature talk on salt marshes from noon to 2 p.m.
Rutgers Professor Judith Weis, author of the new book "Salt Marshes," is the guest speaker. Click here to read a recent interview that the NJMC's Jim Wright did with Weis for The South Bergenite. Click here for more information on the weekend events.